By now most of us here heard about cleansing oil in liquid form, but here this is latest Biore Cleansing Oil-in-Cotton. 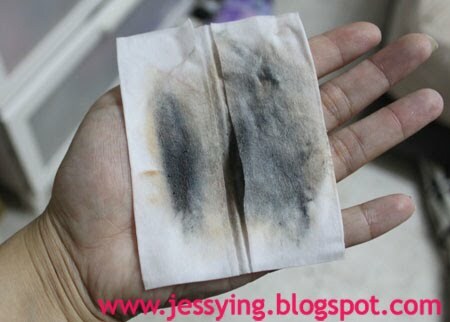 Yes you heard me right.. its cleansing oil that comes in a form of cotton (i.e wipes) to remove our makeup. 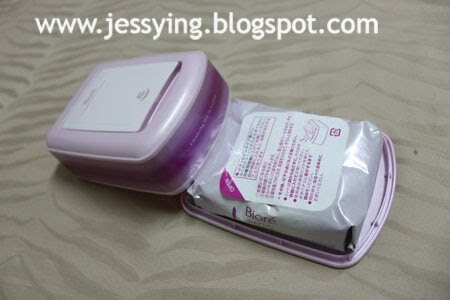 When I first hdeard about this, I thought it must be the normal cleansing wipes like those I bought from Watsons/Guarian. But after trying it at the Biore Mobile Bus immediately I felt in love with it and bought it without looking back! Let me introduce my new love! It comes with 2 types, one in a box (comes with refill) like the picture above and another like the travelling size packet. Well greedy me bought both types, one to use at home and another for my holiday trips... hehe! When you open up the box, you can put in the refill in like this.. always remember to seal the cleansing oil-in-cotton pack to avoid it from drying up. Each sheet comes with a light scented smell, very refreshing.. I love this smell! The sheet is not oily or greasy although its a cleansing oil wipes. This is also suitable for sensitive skin as it is alcohol free. I felt the texture of the sheet was like normal wet tissue wipes that I buy to use. Let me proceed with a demo to see the effectiveness. Note : I'm wearing waterproof gel eyeliner and mascara. 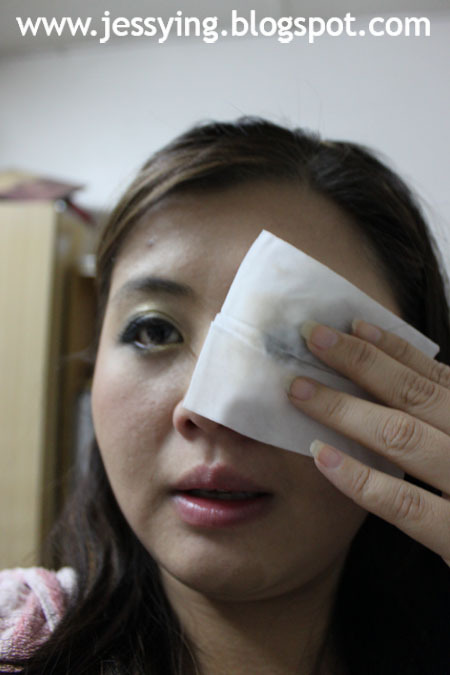 I took one sheet of the cleansing oil-in-cotton and press lightly on my eyes. See the result! I just press on lightly on my eyes and remove it after 10 seconds or so. 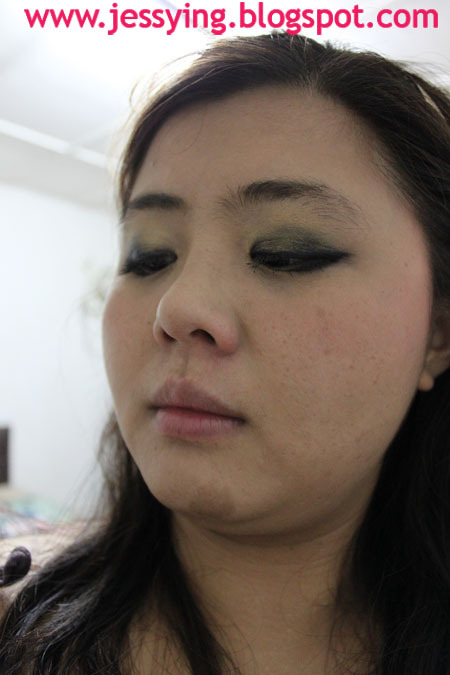 Then I swiped gently all over my both eyes to remove the remaining makeup. 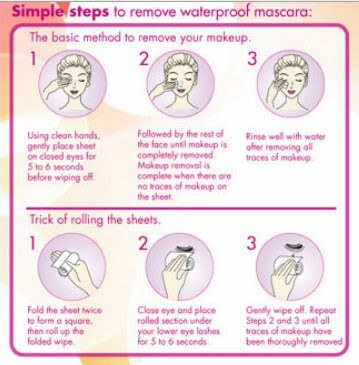 Tips : To remove mascara, fold the wipes into two part and rest your eyelashes in between and press gently. I turned the sheet over and swiped gently all over my face in an upward motion to remove the foundation and blusher. Effectiveness ? Everything was properly removed within 5 minutes! For people who do not fancy of cleansing oil in liquid form, can give a try to this.. as this work so much easier and faster..Best of all, we do not need to worry that the cleansing oil liquid get into our eyes when we removing makeup! Of course always remember to double cleanse our face with face cleanser even though we have use cleansing oil (whether the liquid/wipes) to remove all makeup.. as we want to make sure we clean all the remaining residue away before applying skincare. I love this cleansing oil-in-cotton simply because it's so convenient, clean and fast to use.. especially after a long day at work/events or party where I want to quickly remove my makeup, take a shower and sleep! 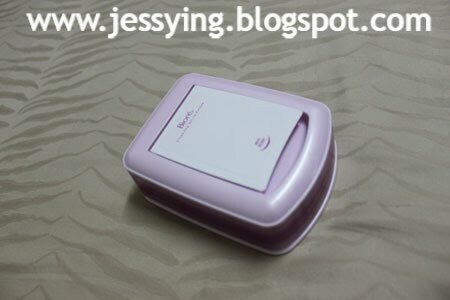 Cleansing oil -in-cotton pack (48 wipes) that comes with the box is priced at RM 32.90. 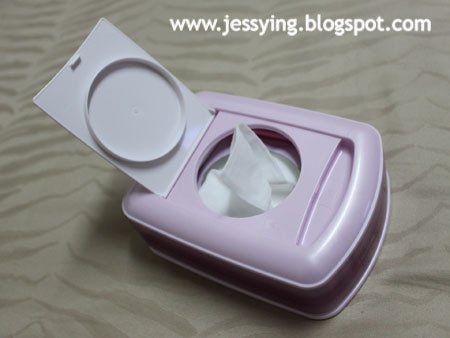 Refill pack (inside 48 wipes) is RM25.90. Check out Biore's facebook to look for promotion! And remember to look out for the Biore's Bus Mobile, all products on the bus are at 15% discount ! Jess, after reading this post, really make me wanna try to buy one. 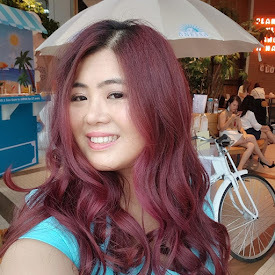 Yet Ling : worth buying to try!!!! 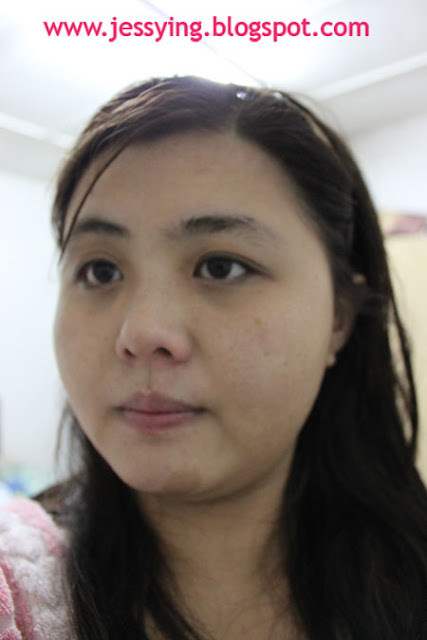 Hi there, I read a lot about double cleansing and even after the usage of cleansing oil, what is the next cleanser to use? The reason we always encourage double cleansing to make sure all makeup trace all being removed. And if you are a person who always put on full makeup almost daily, then double cleansing is encouraged because we want to make sure makeup being removed totally and pores are not being clogged. Usually for double cleansing, 1 step is we can remove our makeup with cleansing oil (can be used whole face) or with oil based makeup remover especially if you put on waterproof mascara and eyeliner because water based makeup base cannot remove them. 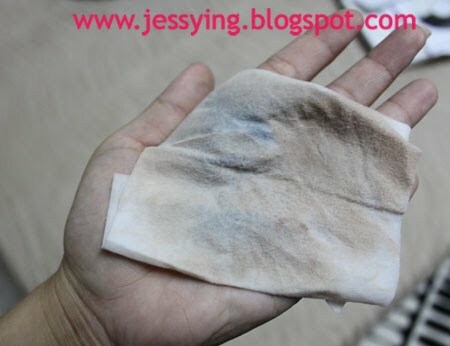 If you dont usually use cleansing oil, then you can buy eye & lip oil makeup remover your eyeliner & mascara which is waterproof and use milk makeup remover to remove your other makeup (eg foundation, blusher , eyeshadow and etc). Eye & lip oil makeup remover cannot use to remove rest makeup on the face because it will be oily for your face and too expensive to maintain. I can suggest you to try this Biore Cleansing Oil-in Cotton , because it is all in one and can use to remove waterproof eyeliner&mascara and your other makeup. Then 2nd step you can use milk cleanser, foam cleanser or gel cleanser like usual. These cleanser cannot break makeup molecules and only able to remove dirt and oil on face. erm will consider buying this!but do I need to cleanse using oil remover again after using this cotton wipes? Btw I tried Biore oil remover it's too oily for my liking..so is this cotton sheet less greassy than the oil in the bottle? Yes its not greasy and in fact feel like those normal cleansing wipes. 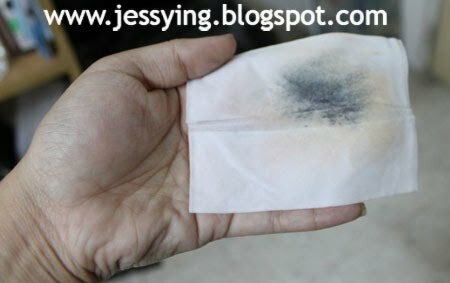 if you have heavy makeup, you can use 2 pcs to clean or use eyes&lips makeup remover to clean before using this again. And please use cleanser after using this. However my practice is that I used this, follow by cleansing oil & cleanser cos I want to make sure I really clean up well.